While we were successfully funded on Kickstarter, it's not too late to help fund us! Any donations made will still recieve the same gifts that Kickstarter backers will recieve (they cost a little more than during the Kickstarter campaign, because these donations are not matched by OUYA). First, take a look at the Donation Rewards on this page. These rewards will be given to those who donate as a special thank you. Once clicked, there will be a popup window which will list all organizations at RIT that can be donated to. Chain Gang Chase accepts donations through the MAGIC Fund. In the upper right hand corner of the popup window, type in "MAGIC". This will filter the organizations and will show you only the ones named "MAGIC". 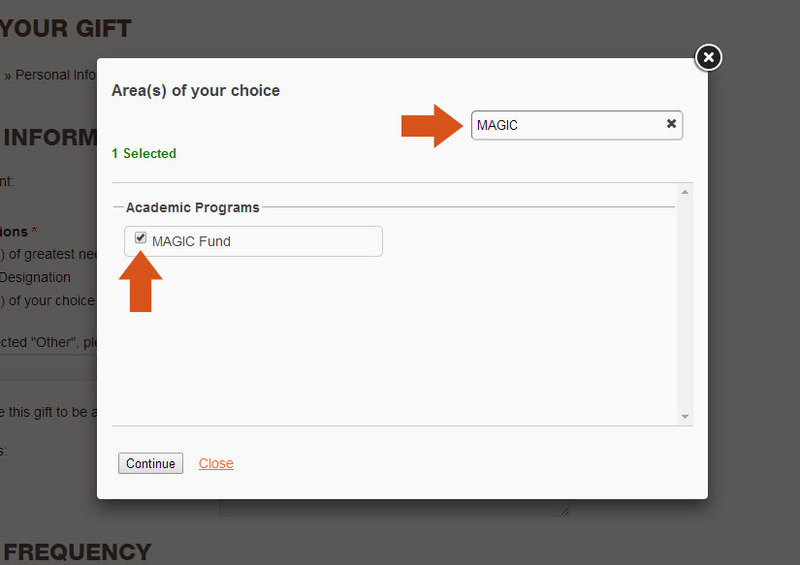 Click the checkbox next to the 'Magic Fund' as seen below. *If the popup window closes, click the buttons next to "Area(s) of your choice" again to re-open it. 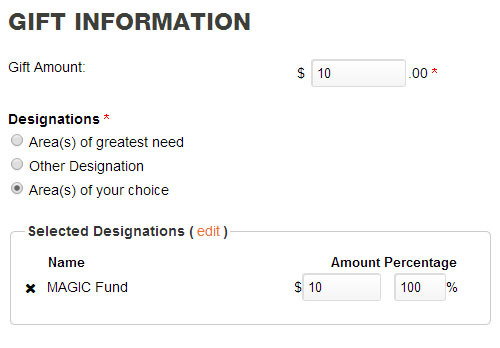 Once the MAGIC Fund is checked, click "Continue". 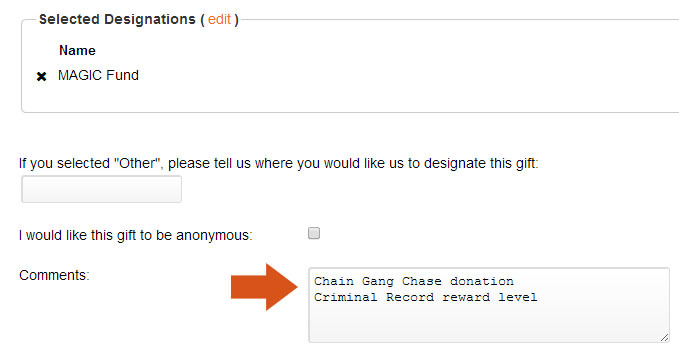 To make sure your donation finds its way to Chain Gang Chase, be sure to include a comment with "Chain Gang Chase Donation" and note what level reward you wish to receive. 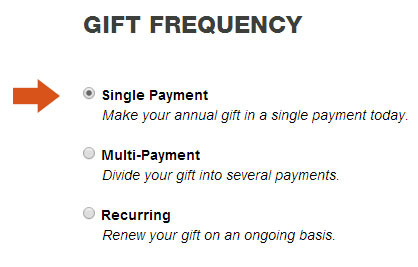 Under the Gift Frequency section, please select "Single Payment". Click "Next" at the bottom of the page to continue. On this page you will be asked to provide your information. Fill in you name and email accordingly. If you are not in some way associated with RIT, please select "Friend". Click "Save and Continue" to move on. From here you will be asked for your payment method and information. After that, you will review all the information, and then finally submit your donation. Thank you for your support! If you have any questions about this process, feel free to send Joe an email at joe@ChainGangChase.com. Ready to donate? Click the button!